Last week I went on vacation with my family. I, my sister, brother-in-law, two young nieces, mom and dad all stayed in a beach house a block away from the Atlantic Ocean in Kitty Hawk, North Carolina. As expected any time a family is in close quarters for an entire week together, hilarity ensued. 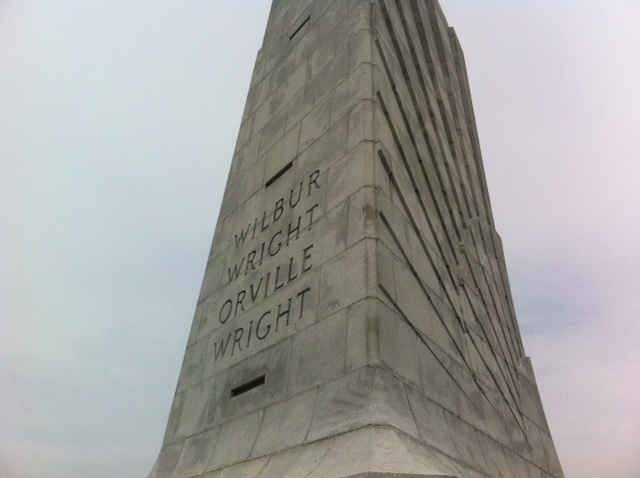 We stayed just down the road from Kill Devil Hills, where Orville and Wilbur Wright took the first flight more than a hundred years ago. 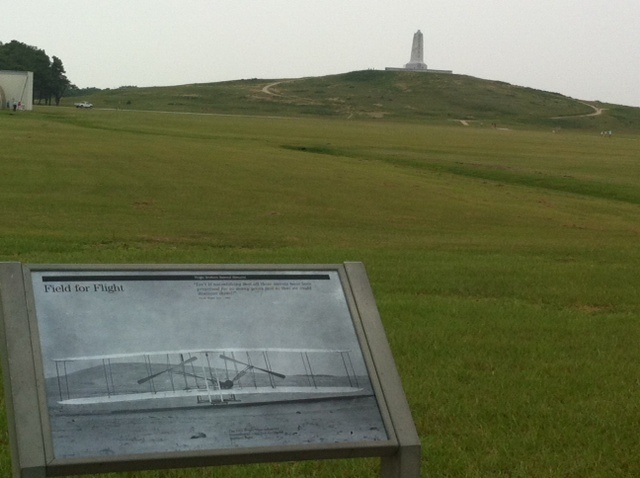 The day we visited the Wright Bros. monument, I saw a couple do a strange thing. A man there had started to walk away from (who I presume was) his wife. He got maybe 20 feet away and she was still sitting, probably resting from the hike to the top. He turned, looked at her and sort of clicked his tongue. She came to him like he had whistled to a dog. Not a word passed between them. I recounted this story to someone who suggested that maybe the man had a speech problem and could only communicate this way. Perhaps, but I saw no evidence of that. It was so strange that I told the story to my family. In a rare but misguided attempt at multicultural understanding, my dad (wrongly) assumed I was speaking about one of the few Indian couples that were on the hill with us. “Well, that’s probably just their custom,” he surmised. “Dad, it was an American couple,” I said. He then spent the rest of the day clicking his tongue at us. No one felt compelled to follow him, though. I recently went to an event with my partner’s cousin and his significant other. It was a crowded area, and if they got separated they would go “CUCKAW! CUCKAW!” really loudly and find each other. It was hilarious!! … and effective. Could that be what you witnessed? Something like that? I don’t know…maybe we’ll never know!